Refinance Mortgage: Should You Consider It Or Not? Refinancing a mortgage simply means clearing an existing mortgage loan and replacing it with a new loan. There are a number of good reasons why homeowners choose to refinance, but it is important to note that it has its pitfalls as well. Refinancing typically costs anywhere between 3 and 6 percent of the initial loan principal. It also requires appraisal and title search, which costs money, and attracts an application fee. If you are considering refinancing your mortgage, here are a few reasons to help you make the right decision on whether to go ahead or not. 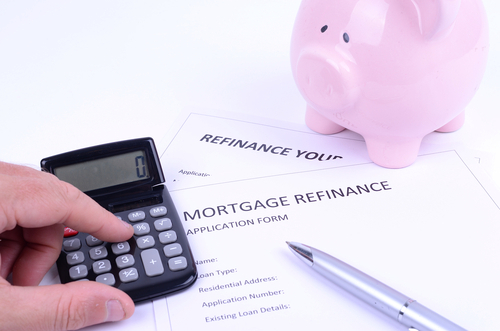 One of the top reasons to refinance mortgage loan is the lower interest rate you will get on your loan. Considering that mortgage interest rates are at their lowest in history, now is the right time to consider refinancing. Depending on the loan amount, rate, and loan duration, a lower interest rate, even if lower by just 1 percent, could save you hundreds of dollars in monthly payments. This will not only help you save money but also significantly reduce the number of monthly payments, freeing up money that you can use to build equity in your home. When the interest rate of your mortgage falls, you get the opportunity to refinance an existing loan for another at a lower rate. This means that if you pay the same amount every month, you will enjoy a shorter term on a fixed-rate loan. You could cut the duration of your loan by as much as half with only a slight change in monthly payments or by paying the same amount you always have. Adjustable rate mortgages (ARM) often start out with lower interest rates compared to fixed-rate mortgages. However, periodic adjustments often increase the rate, making ARM have higher interests compared to fixed-rate mortgages over time. When this happens, you can convert your ARM loan to a fixed-rate mortgage and enjoy a lower interest rate than you would actually pay for the remaining duration of the loan. Some homeowners will find it financially wise to convert from a fixed-rate to an ARM loan when they do not plan to stay in the home for long. These homeowners can lower the interest rate and monthly payment without having to worry about a future rise in the interest rate just b converting from an ARM to a fixed-rate loan. If you plan to access the equity of your home to cover huge expenses such as home remodeling, you can justify the refinance mortgage by pointing out that remodeling increases the value of the home. You can also argue that the interest rate on your mortgage is lower than the rate on money borrowed from another source for other expenses such as your child’s college education. You can also justify the refinance that interest on mortgages is tax deductible. However, no matter the justification, it is rarely a smart decision to increase the duration of the loan. At face value, it is a good idea to replace a high-interest mortgage with a low-interest one. However, refinancing does not automatically bring all the benefits of affordable payments, lower interest, or shorter loan duration. Many homeowners choose to refinance to consolidate their debts including credit cards, car payments, and other huge expenses. If you are refinancing to consolidate your debt, you should take extreme caution to avoid losses resulting from wasted fees on refinancing and other high-interest debts. Record-low interest rates on mortgages have driven many homeowners to consider refinancing. A key determiner on whether to refinance should be how long you intend to stay in the house. If you plan to stay in your home for long and can get a better refinance rate, it makes good sense to go for it. However, if you are looking to leave the house within a couple of years, it would be unwise to refinance because you may not get the opportunity to break even when you factor in the closing costs. If the change in interest rate is small, it would take longer for refinancing to be sensibly beneficial. Mortgage refinancing is a wise financial strategy if it lowers the interest of your loan, shortens the loan term, or helps you build equity faster. When carefully considered, it can be a valuable tool to get your debt under control too. If you are seriously considering refinancing, the biggest questions you need answers to are: How long will I live in this house? And how much money do I stand to save by refinancing?